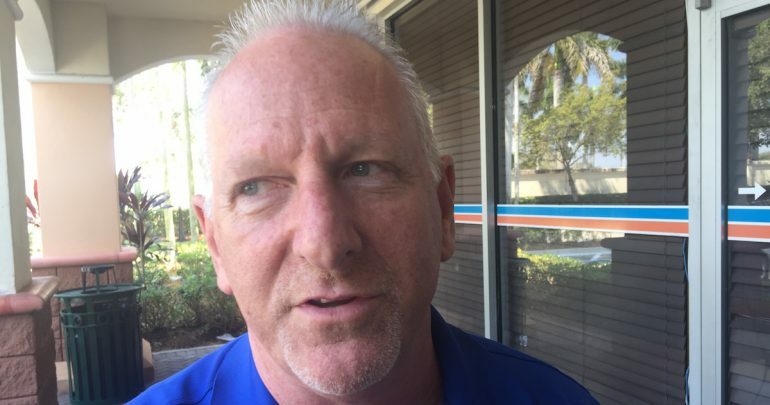 CORAL SPRINGS, Florida — Call-center manager Bob Greenberg says he knew just what to tell customers like the angry retiree who phoned in 2014: promise them anything. Deloris Burket was calling again to complain to the Florida company where Greenberg ran interference. At 72, the Pennsylvania woman struggled with $38,000 in loans that she’d co-signed so her grandniece could attend college. Behind on payments and needing help, Burket had found Consumer Assistance Project LLC in an internet search several months earlier. The Florida company, known as CAP, promised on the web to reduce or eliminate student loans. For her and many others, it did neither. Greenberg supervised telemarketers who pitched relief to debtors nationwide as student loans surged to $1 trillion. At 55, he had worked much of his life as a car-dealership finance manager, a trade with its own excesses of high-pressure sales and shady tactics. Greenberg says his job at CAP tested his conscience like no other as he began to feel the company exploited desperate borrowers. He says he fielded 10 to 20 complaints a day from callers. Burket, who said she’d been told CAP would have her loan paid off within a few months, protested that she’d paid $250 upfront, as her contract shows. She’d signed and notarized a form giving CAP power of attorney to deal with her loan servicer. She’d paid $198 in monthly dues, an extra expense that made her unable, she said, to make her full loan payments. Her balance kept rising, she said. Interest and penalties piled up. Burket’s plight scarcely surprised Greenberg. He says callers often told him their wages had been garnished to cover lapsed accounts that CAP had promised to keep current. Some said their Social Security payments had been cut. He remembers delinquent customers up north telling him the government had seized tax refunds they needed to buy next winter’s heating oil. The heating-fuel stories especially bothered Greenberg, who’d moved to Florida from Long Island as a teenager with his family. But he says he reeled off the usual excuses. Greenberg reported to Chastity Valdes, CAP’s founder and chief executive officer. The vivacious entrepreneur had launched the operation in 2011 when she was 30, according to official records. He says Valdes authorized him to address complaints by reducing a member’s monthly fees to $150 from as high as $303, he said. Greenberg says he felt CAP was deceiving customers, giving discounts simply to keep customers from quitting. The practice gnawed at him, he says. Like many customers, Burket got by on a fixed income. She said she fretted when her grandniece stopped making payments and calls began coming from American Education Services, the company servicing the loan. Greenberg says he knew that many customers needed their money for essentials. Instead, they were paying CAP. Valdes, meanwhile, bought a new Mercedes, he says. Records show that she signed company checks to an equestrian center where, Greenberg says, she boarded a horse. Greenberg says he’d always considered himself a good guy. But he says he wasn’t acting like one. He was playing company man. He told his wife: something had to give. Signed checks show that Chastity Valdes, who headed Consumer Assistance Project LLC, paid company money to an equestrian center where former CAP supervisor Bob Greenberg says she boarded a horse. Sources: Skull SMP Clinic web site, public records. Greenberg, 5 feet 8 inches tall, is tan with steady blue eyes and short white hair. He knows hard work from growing up in an extended family that ran a vending-machine business they brought to Florida from New York. The family settled in the Palm Beaches area, a tourism and retirement mecca. A year as a young man selling cars on sweltering auto lots persuaded Greenberg to seek an office job. He studied and became a finance manager, working for 25 years across South Florida. When real estate boomed during the early 2000s, Greenberg became a mortgage broker. After the bust, he got a job at a Coral Gables law firm helping homeowners avoid foreclosure. There, Greenberg grew passionate about saving homes. He says that about 75 people worked at the Lance Denha Law Firm, named for an attorney who started the company. They collected borrowers’ financial details, contacted banks and renegotiated mortgages so payments became affordable. Grateful homeowners sent lobsters as thank-you gifts, Greenberg said. “People used to come into the office and give us hugs,” he said. But by 2012, demand had fallen for foreclosure defense. The housing market was improving. The staff had dwindled to 45, Greenberg says. Managers sought the next big opportunity. Valdes offered an answer. The 5-foot-tall businesswoman was tough and persuasive. She’d completed probation after pleading no contest the previous year to domestic battery and trespassing charges, court records show. Valdes had operated a foreclosure-defense company called Back Office Law LLC, according to state business filings. Greenberg says he knew little of her background in 2012, when he heard her give a presentation at the Lance Denha firm. During the previous five years, total student loans had doubled nationally as for-profit colleges expanded and the federal government boosted financial aid. The average amount owed by borrowers had jumped 25% in four years to $29,400, according to the Institute for College Access & Success. The federal student loan delinquency rate had reached 12%, surpassing rates for mortgages, auto loans and other products, the TransUnion credit-reporting agency noted. In her presentation, Greenberg says, Valdes told law-firm managers that her operation could help struggling borrowers. Customers would pay CAP single monthly amounts to negotiate lower payments and to keep their loans current, he recalls her saying. Greenberg remembers expressing reservations. “Telling people, ‘Don’t pay your loan servicer, pay us,’ it didn’t smell right,” he said. Despite his misgivings, Greenberg signed on. He says he needed the paycheck for his family. A daughter attending community college stood to acquire her own student debt. The company hired other law-firm workers too, Greenberg says. 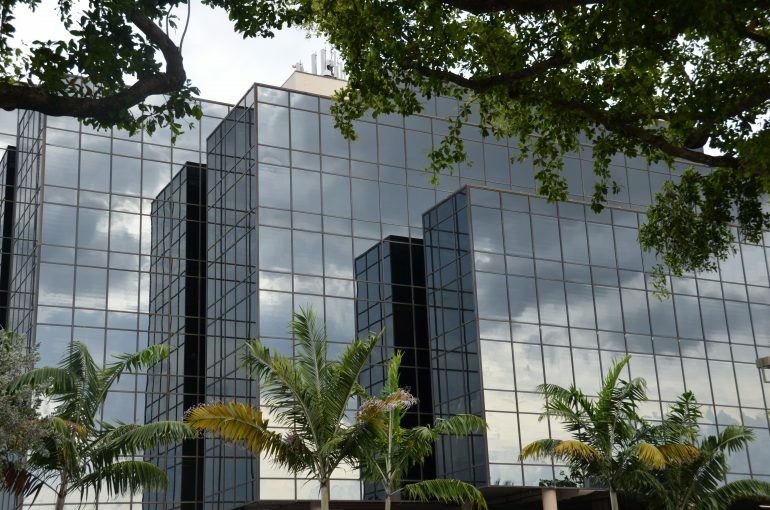 Call-center reps worked from cubicles filling the second floor of a squat beige office building in downtown Coral Gables. CAP operated as a separate entity from the law firm, according to Denha, the attorney. The company needed no door sign because it peddled debt relief by phone, Greenberg says. Borrowers called after seeing website offers of up to 90% savings and payments as low as $5 a month. Each day, Greenberg says, managers gave call-center workers a new, untraceable 800 number for prospective customers to call. Reps known in the trade as “fronters” read from rehearsed lines to titillate borrowers, he says. “It appears that you may be entitled to reduce and/or eliminate your student loan obligation,” the script said. To sweeten the deal, he says, CAP told prospective customers they could speak to one of its attorneys or a certified public accountant about anything for 20 minutes a month. But Greenberg says the company made no lawyers available, as far as he could tell. Canceled checks show a few CAP payments to the Lance Denha firm for legal services. But when clients requested legal help, Greenberg says he put them off, saying someone would call back. CAP paid fronters $45 a shift, plus commissions based on the number of calls they transferred to “closers,” who sealed deals, Greenberg says. He says managers set goals: six new contracts a day per salesperson, 100 a week for the call center. The closers sold monthly memberships, creating an incentive to prolong customer payments. At first CAP charged customers a percentage of their loan balances. Then, records show, the company switched to $250 upfront fees, an illegally high amount in Florida. CAP charged monthly dues as high as $303, Greenberg says. Customers grew suspicious when their credit-card statements showed bills from a processor in Belize, Greenberg says. U.S. banks shunned the suspicious operation, he says. In its heyday, CAP employed an array of friends and relatives. A Lance Denha lawyer’s wife helped hire Greenberg, he says. Her brother kept the books, he says. Valdes’ significant other, Shane SantaCroce, helped run the company and supply sales leads, Greenberg says. SantaCroce’s mother worked as a closer, he says. SantaCroce had his own troubled past. At age 22 in 2000, he’d racked up multiple felony convictions for organized fraud, forgery and third-degree grand theft, court records show. He received probation of 39 months, extended to 2004 after a violation, according to the records. SantaCroce had worked with a local attorney who stole more than $6 million from clients and vanished in 2013, later to serve prison time for the crime. Greenberg says CAP representatives told customers the company was a nonprofit, a status obtained at its founding and later revoked by authorities. The reps, hired on commission as “volunteers” instead of employees, he says, told members their dues were tax-deductible. CAP signed up hundreds of members, grossing more than $1 million in 2014, bank records show. The workforce grew to almost 100, staffing three shifts, Greenberg says. On Facebook, CAP got glowing reviews. It turned out later that Valdes faked five-star reviews. But marketing and sales succeeded, Greenberg says, driving membership above 400. Borrower Jaime Bussey, of Cedar Rapids, Iowa, said CAP told her it could eliminate at least 50% to 70% of her loan balance. She said she signed up to pay $250 upfront and $198 a month for two years. Bussey gave the company legal authority to deal with her loan servicer. But Greenberg says servicers often declined to deal with CAP even if customers had given it power of attorney. The company did get Bussey a 12-month deferment — a rare tangible result by a staff that Greenberg says had been trained only in sales. When workers did request transcripts from colleges or loan details from servicers, Greenberg says, they were almost always rebuffed. What CAP did do was to pepper the servicer of the loan, Navient, with about 85 loan-dispute letters in two years, according to an attorney for the servicing giant. Navient ignores such letters because it generally considers power-of-attorney forms submitted by so-called debt relief companies to be invalid, lawyer Joshua Harkleroad said. Bussey and other victims had no way of knowing that a year before she signed with CAP, Valdes had run into trouble. Connecticut cited CAP in 2013 on accusations of negotiating debt without a license. Valdes obeyed an order to refund Connecticut residents. She agreed the next year to pay a $1,000 fine, records show. Greenberg says that while he worked at CAP, he never once saw the company reduce or eliminate a loan payment, or pay anything toward the balance of a loan. One worker named Helen acted on her own initiative to try to stop the garnishment of customers’ wages, he says. Compounding the chaos, Greenberg says, CAP fell behind on rent. A sheriff’s deputy served an eviction notice at the call center, he says. The deputy gave staff members 90 minutes to leave. Workers regrouped in an office tower across town known as the Darth Vader building for its hulking, black-glass exterior. The operation resumed. Greenberg continued as general sales manager, although he says his guilt and disenchantment grew. Valdes, increasingly absent from the office, made Greenberg email her concerning customer complaints that required decisions, he says. “When I became frustrated, (and) emailed Chastity, the worse it got, the less she appeared at work,” he said. Greenberg says he told Valdes and SantaCroce that he was having to reduce customers’ contract payments every day. “I was told, ‘If you want to keep your job, do what you’re supposed to do,’” he said. By spring 2014, Greenberg felt the work had become intensely frustrating. “I don’t remember any consumer calling, saying, ‘thank you,’” he said. Greenberg says he spotted internal scams. He says he caught staff members trying to pad commissions by getting friends to call in multiple times under false names. He confronted the workers, playing back recordings. They confessed, he says, and went back to work. To protect himself, Greenberg says, he began collecting evidence. “I started keeping notes, copying files, writing down access codes for websites,” he said. CAP did give some refunds, he says. In return, the company required customers to agree not to complain to authorities, he says. Finally in May 2014 after a couple of years working for Chastity Valdes, the end came abruptly for Greenberg. He says he arrived at work to find his access to the parking garage denied. He called Valdes. She met him in the Darth Vader lobby, he says, and fired him. That September, Greenberg walked into the Fort Lauderdale office of Florida’s attorney general. A staff member expressed surprise, he says. Whistleblowers were rare, the official said, let alone walk-in whistleblowers. Greenberg says he told authorities everything, turning over documents, emails, account numbers and passwords, and his notes. They found Valdes had channeled substantial revenues to two shell companies she had set up, Palermo Global LLC and Gran Gaucha LLC, records show. She paid herself $150,000 a year, the records reveal. Copies of checks show Valdes paid more than $20,000 in company funds to Morning Line Equestrian LLC, a boarding and training center where Greenberg says she stabled her horse. In April 2016, prosecutors filed a federal lawsuit against Valdes and her companies. They based their case on evidence including allegations by Greenberg, Burket, Bussey, federal and state investigators and others. Prosecutors asked U.S. District Judge Federico Moreno to shut down the operation. Moreno signed an order on Dec. 29, 2016, banning Valdes and her companies permanently from the debt relief and credit-repair business in Florida and nationally. She agreed to submit to strict reporting requirements for any future business unrelated to debt relief or credit repair. Ever inventive, Valdes today runs a business offering a different kind of false reality: tattooing simulated stubble on scalps of people who’ve lost hair. A reporter’s requests to Valdes for comment generated an unsigned email from the Skull clinic disavowing knowledge of CAP or any connection to the dissolved company. Within minutes of the response, photos of Valdes, identified by Greenberg as the same person who ran CAP, had disappeared from the tattoo parlor’s website. So had a bio of Valdes that said she’d attended Florida Gulf Coast University to earn a bachelor’s degree in legal studies, a credential the school has no record of her acquiring. Deloris Burket, the Pennsylvania woman who called CAP saying the company hadn’t reduced her grandniece’s loan, said she ultimately canceled her debit card to block withdrawals. She said she swallowed more than $4,000 in losses. Since CAP’s founding, total U.S. student loans have jumped by one-third, nearing $1.4 trillion, according to the Federal Reserve, expanding the market for debt-adjustment scams. In a recent investigation, NerdWallet found more than 130 companies to have run afoul of authorities or received bad ratings from the Better Business Bureau. Greenberg has returned to the auto business. He works as a dealership service advisor not far from the Darth Vader building. But Greenberg says he likes the job. Customers drive in with their problems. He doesn’t have to talk them into doing business. Greenberg says he feared retribution initially for reporting CAP. But he feels he made the right decision. No one was charged with a crime. Moreno ordered Valdes and her companies to pay $2,382,000. He designated the money for refunding customers. The judge reduced the amount to just $4,500. Richard Read and Teddy Nykiel are staff writers at NerdWallet, a personal finance website. Email: rread@nerdwallet.com. Twitter: @RichReadReports. Email: teddy@nerdwallet.com. Twitter: @teddynykiel. Reporter Alex Richards contributed to this story. The new NerdWallet Student Loan Watch List warns consumers about debt-adjustment companies to avoid.